Born in North Shields, England Myles Birket Foster’s family moved to South London in 1830 where his father founded M.B. Foster & sons – a successful beer-bottling company. He was educated at Hitchin, Hertfordshire and initially went to work in his father’s business after leaving school. Upon noticing his talent for art, his father secured him an apprenticeship with the notable wood engraver Ebenezer Landells where he worked on illustrations for Punch Magazine and the Illustrated London News. During the 1850’s he trained himself to paint watercolours and quickly became a successful watercolour artist. 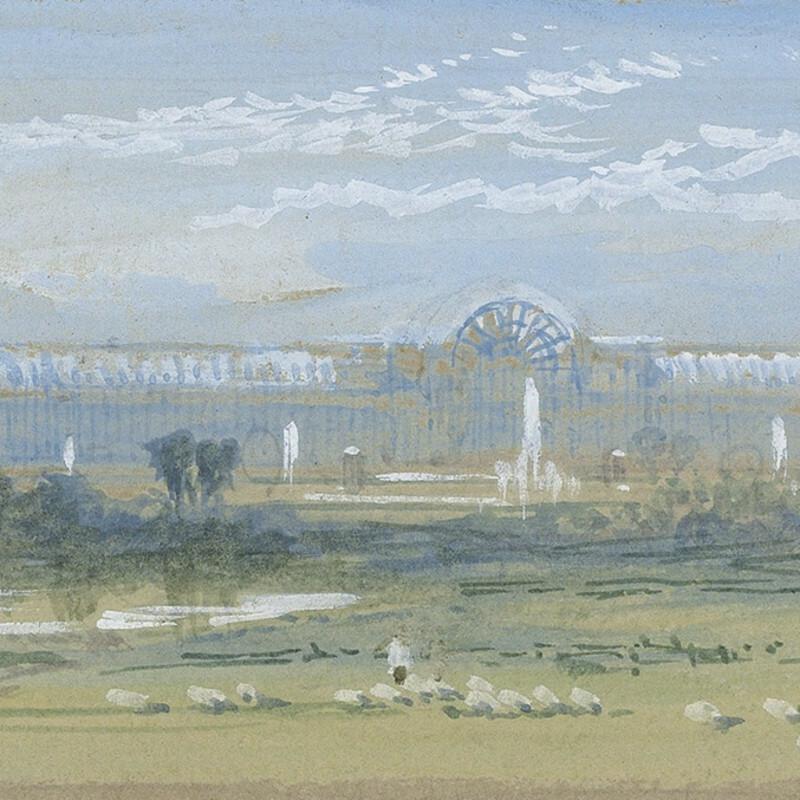 Birket Foster became an Associate of the “Old” Watercolour Society (later the Royal Watercolour Society) in 1860 and exhibited some 400 of his paintings at the Royal Academy over more than 2 decades. He painted countryside around Scotland, the Rhine Valley, the Swiss lakes and in Italy, especially Venice. In 1863 he moved to Witley near Godalming, Surrey and in the same year he published a volume of ‘English Landscapes’ with text by Tom Taylor. Birket Foster’s work, along with other artists, was used by Cadburys (the chocolate manufacturer) on the cover of their chocolate boxes from the 1860’s onwards.